A roaring fire in the garden on a winter’s evening can certainly add colour and warmth, plus can be used all year round outdoors for barbecues and parties, helping you to get the most from your garden space. 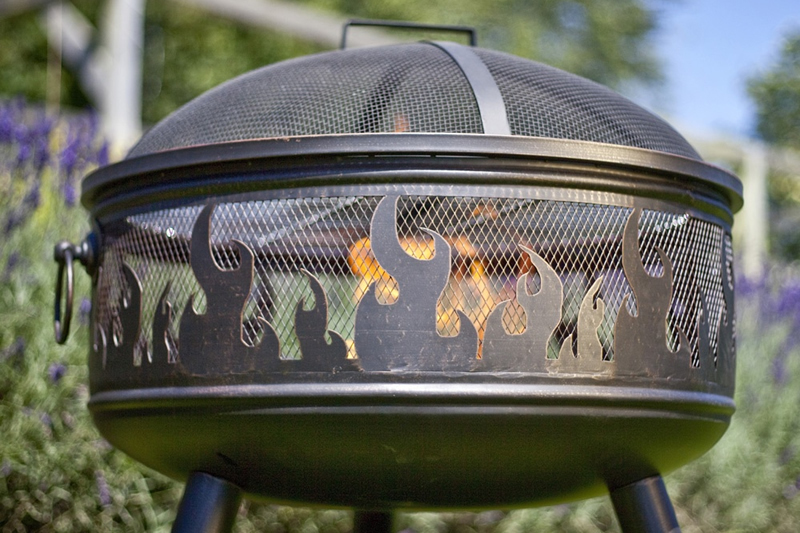 When choosing a fire basket, look for steel construction with high temperature paint and spot welds or rivets for strength and longevity. 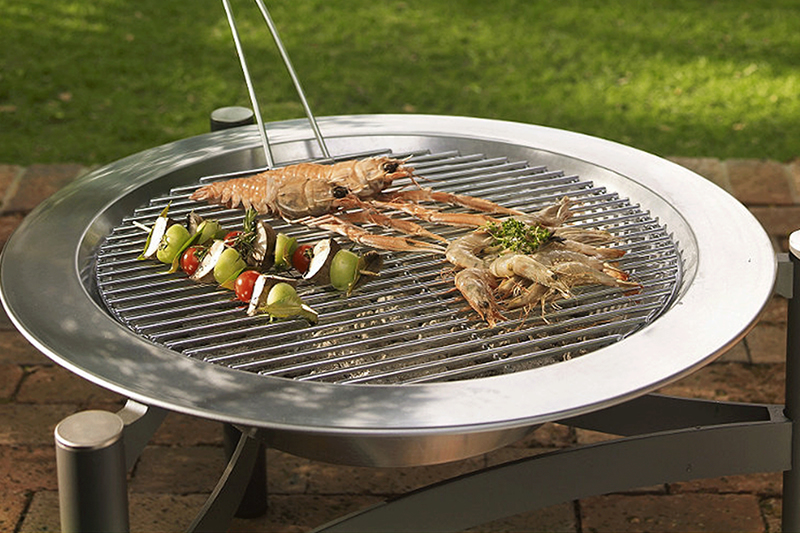 If you like barbecues then get a fire basket with a grill that fits over the top of the basket so you can use both as a fire basket and as a barbecue. Perfect for making food for a party then providing heat to keep all the guests warm for the rest of the evening! This is a high quality steel outdoor fire basket with bronze effect exterior finish mesh surround, log grate and metal fire tool. 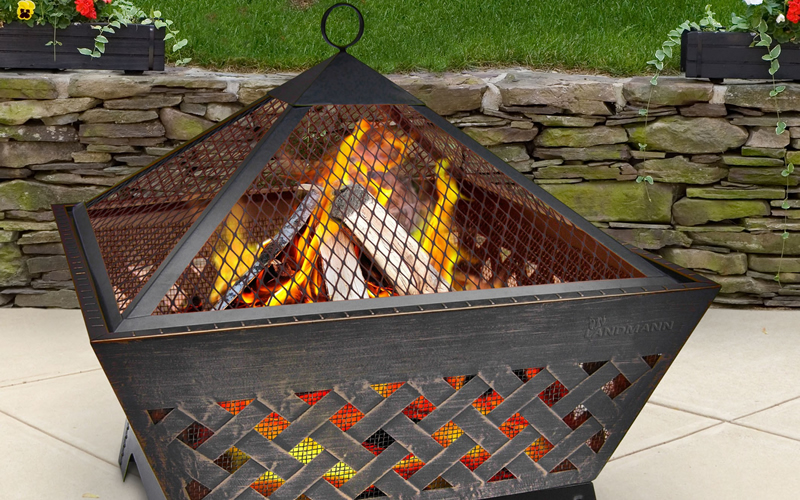 This fire basket measures 51 x 51 x 61cm, and is an attractive outdoor fireplace which is warm and safe thanks to the completely enclosed mesh surround – a good choice for garden entertaining on cooler days or nights when there may be children around. 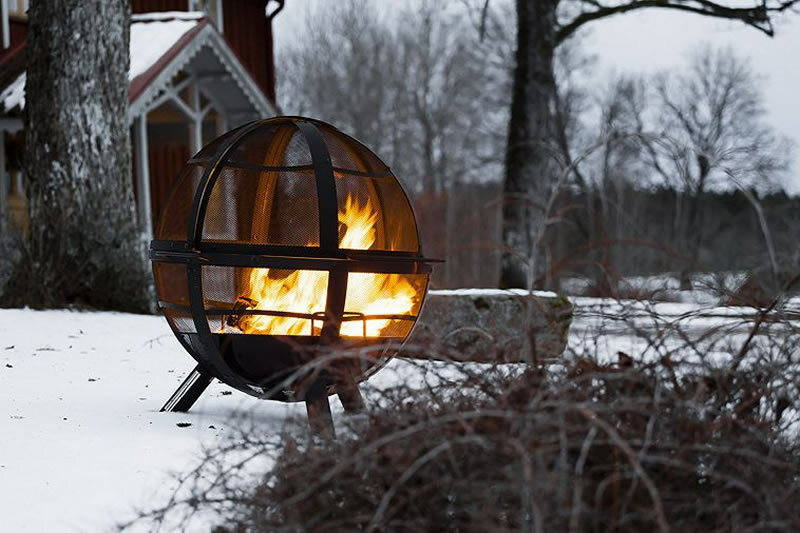 The stylish Novo fire basket from La Hacienda is a quality item made from solid steel and burns hot enough to efficiently get rid of garden waste or can be used as a source of heat in the garden on those cooler days or nights. 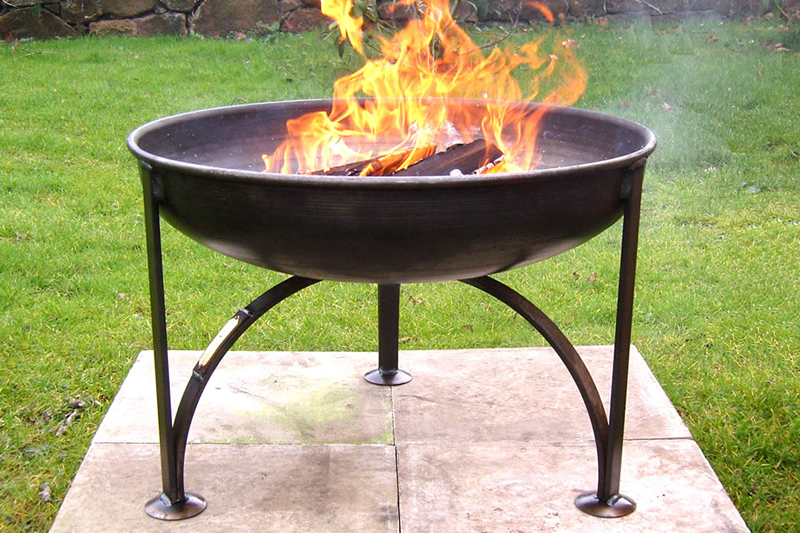 This sturdy steel fire is finished in high temperature black paint and measures 45cm x 34cm x 34cm and is an effective incinerator. 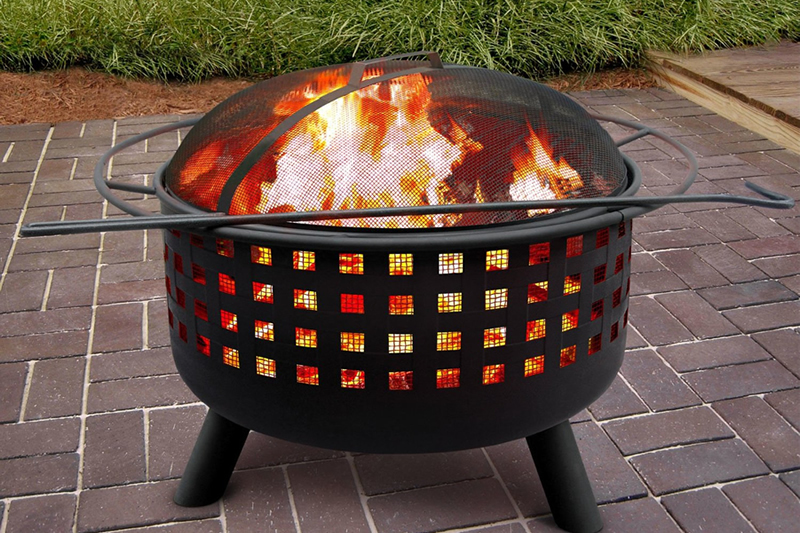 This fire basket is lightweight and easy to assemble, yet made from a durable and robust steel construction and will burn all solid fuels effectively. 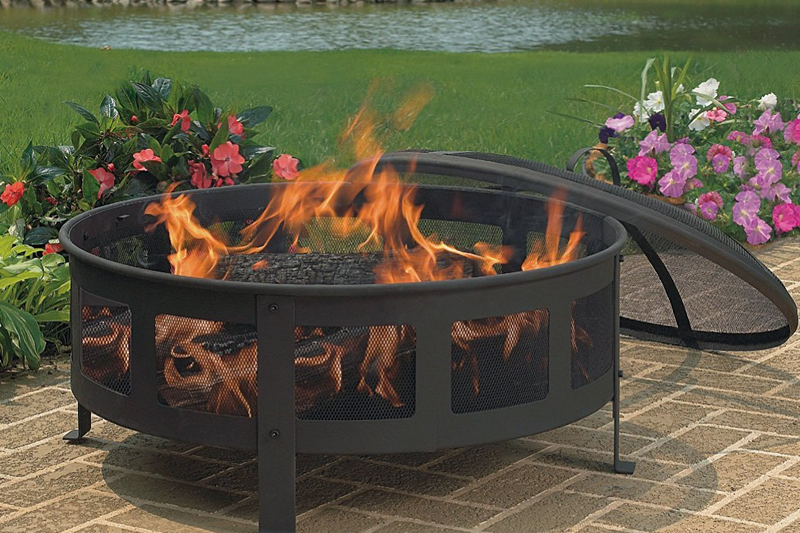 This fire is strictly for outdoor use only and measures 35cm in diameter and is 50cm tall. 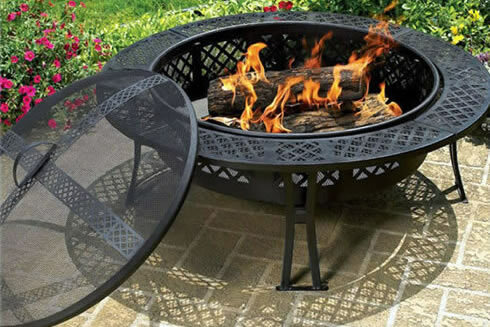 The item is easy to assemble and has an integral base plate to collect ash and embers. 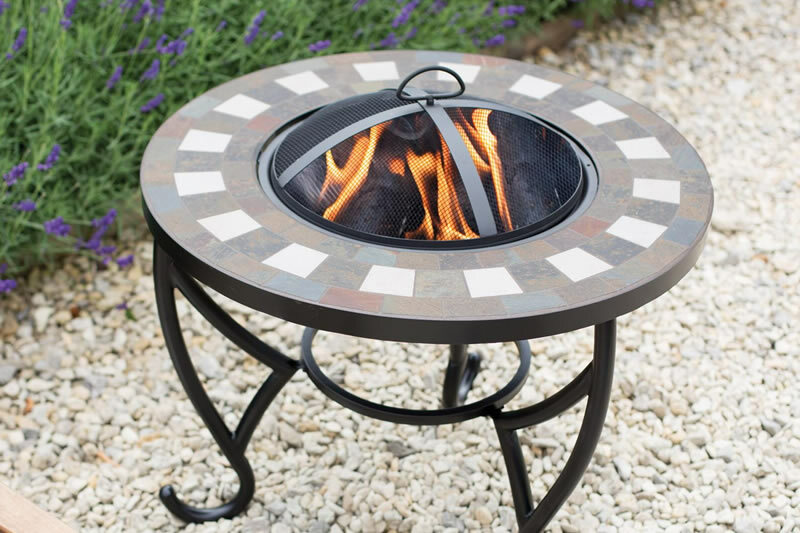 The manufacturer offers a 12 month no quibble guarantee on this item as they are confident in the quality and are sure the item will belong lasting, providing heat and warmth in your garden for many years.